A CNN reporter has been banned from the White House after engaging in a tense back and forth with Donald Trump during a news conference. 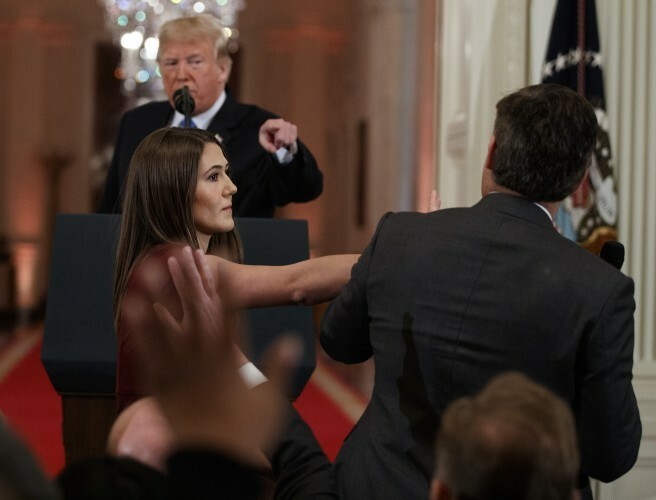 The White House has accused Jim Acosta of "unacceptable" conduct after a female intern tried to take the microphone from him - claiming he put his hands on her. Jim Acosta says the claim's "a lie" in a tweet - and also posted a video of his press pass being taken away. The journalist clashed with President Trump as he took questions following the US midterm election results.